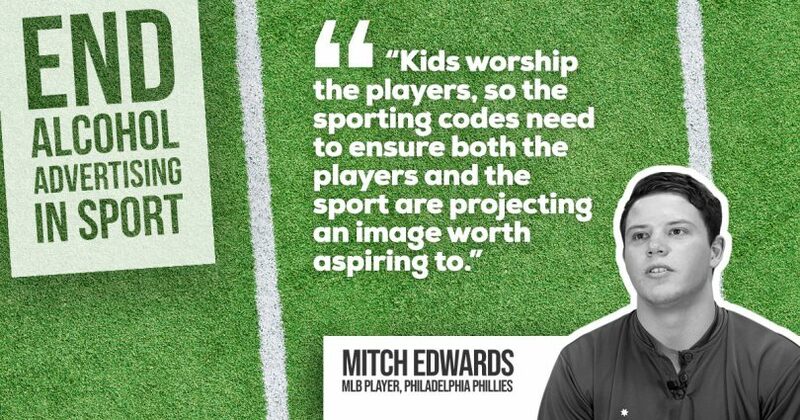 Mitch Edwards said signing with the MLB powerhouse Philadelphia Phillies made him think about how he was following in the footsteps of his childhood heroes and what he can do to set a good example. File Photo. 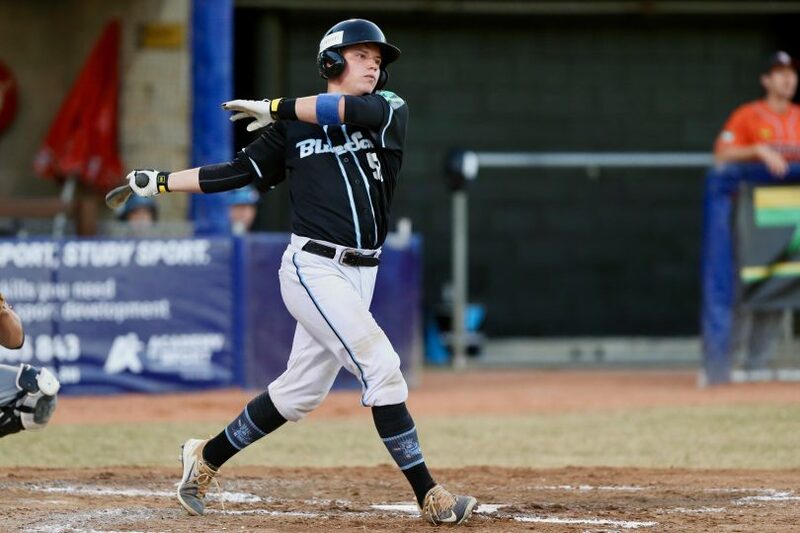 Canberra’s baseball star Mitch Edwards has joined the chorus of Australian sporting stars who are calling for a ban on alcohol advertising across all sporting codes. Edwards, who is currently overseas representing his country at the U23 Baseball World Cup, teamed up with AFL great Mick Malthouse, Parramatta Eels legend Steve Ella and former Cricket Australia selector John Inverarity to call for a stop of alcohol advertising during sport events and television coverage. The powerhouse line-up launched the End Alcohol Advertising in Sport campaign last week, as a new report revealed children were exposed to more than three instances of alcohol advertising every minute of the 2018 NRL grand final. The study produced by the Foundation for Alcohol Research and Education (FARE) investigated the amount and type of alcohol advertising broadcast on free to air television during the 2018 AFL grand final on channel Seven and the 2018 NRL grand final on channel Nine. In the AFL grand final, 118 occurrences of alcohol advertising were identified across the 161 minutes of game time including quarter/halftime coverage analysed, all of which took place during children’s viewing hours. Saturation of alcohol advertising during the NRL grand final was more than three times higher with a total of 365 occurrences of alcohol advertising and 3.3 instances per minute during the broadcast of the game (including halftime). Edwards said signing with the MLB powerhouse Philadelphia Phillies made him think about how he was following in the footsteps of his childhood heroes and what he can do to set a good example. “I remembered how much I looked up to my baseball heroes and how I would imitate whatever they did and how they played,” Edwards told Region Media. “This made me really conscious of the effect I now have on young fans of the game, and I want to set a good example. Mitch Edwards has joined Australian sporting icons to call for a ban on alcohol advertising in sport. A new report reveals children were exposed to more than three instances of alcohol advertising every minute of the 2018 NRL grand final. Edwards said most sports have a major association with alcohol and that is why the End Alcohol Advertising in Sport campaign is so important. Edwards said he would like to see sports promoting a healthy culture and setting a good example to kids. FARE chief executive Michael Thorn says that children’s exposure to alcohol advertising during two of the biggest sporting contests of the year is the alarming consequence of a “nonsensical exemption” in the Commercial Television Code of Practice. “The evidence is very clear that children’s exposure to alcohol advertising encourages them to start drinking earlier, to binge drink more often, and to start a journey toward alcohol-related harm,” Mr Thorn said. Mr Thorn is asking all Australians to lend their support to the campaign and ensure Australia’s political leaders hear their voices by signing up online on the End Alcohol Advertising in Sport campaign website. Stop Gambling Ads as well.